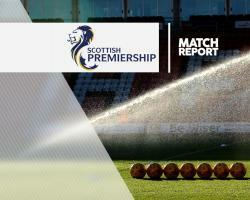 Partick Thistle will take inspiration from Motherwell's performance against Celtic when they take on the Ladbrokes Premiership champions on Friday night. Celtic maintained their unbeaten domestic record and made it 37 points from a possible 39 when they won 4-3 at Fir Park last weekend, but Motherwell gave them a serious fright. And the hosts went 3-2 up before Celtic won the game late on. And Thistle manager Alan Archibald saw enough to give his side some ideas and hope for their first match against Brendan Rodgers' Celtic. "We take heart from the way Motherwell played last week and got three goals. There is not a lot of weakness there. "We took heart from the way Motherwell played and hopefully we can do something similar." Skipper Abdul Osman added: "We have looked back on the video and seen all the stuff Motherwell did to unsettle them, and we have been practising on that and hopefully we can do something close to that." The Jags have not won in their last seven home games but they came close against Rangers two weeks ago, going down 2-1 to two late goals from Joe Dodoo. They are different in set-up and the style of play." Celtic maintained their unbeaten domestic record in Erik Sviatchenko's absence last weekend against Well and the ill Dane went through the range of emotions before Tom Rogic hit a last-minute winner. It was perfect, it was just great that we could bounce back. We have shown we are capable of different mental styles." James Forrest is a major doubt for the Hoops after the Scotland international went off with a tight hamstring during the Champions League draw with Manchester City on Tuesday. Scott Sinclair (hamstring) and Kieran Tierney (ankle) remain sidelined.